April 7th, 2018 is the 215th anniversary of the death of Toussaint Louverture; a founding father of an independent Haiti. 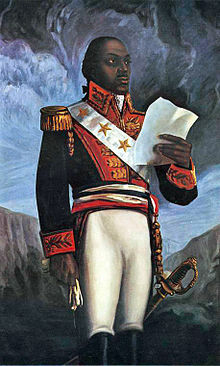 Toussaint Louverture died at Fort Joux (Doubs, Savoie France), where he was incarcerated on the orders of Napoleon Bonaparte, for opposing by arms, to the reestablishment of black slavery. Following is an excerpt from the spring semester 2013 session of THE SPARK of Le Flambeau program, now in its tenth year. Featured below is one of the topics and the resulting comment made by Danice who was a student participant in the program at the time and was living in Haiti. Danice later earned a full college scholarship in the U.S. as a Le Flambeau Foundation Scholar, graduated with a major in business in May of 2017, and who is now working on his MBA. Topic: Who was Toussaint Louverture to you? Respond by answering one or both of the following questions – 1) Was Toussaint Louverture seeking independence or autonomy from France? 2) If Toussaint had not been captured by the French and had continued to live in Saint-Domingue, what would have become of him? How would history have judged him? Where have those men passed by? I have never stopped asking this question. August 22, 1791 was an unforgettable date in the story of Haitian revolution. It marked the first knock at the door of freedom by a minor group of slaves in the northern region of the colony under the ordinances of Dutty Boukman, a voodoo priest. Two years later, on August 29, 1793 slavery was announced to be abolished in the colony. But actually, the slavery was still in vigor and the colonists kept on mistreating n___ers under inhuman activists. Soon, the intervention of the British to reinforce those who opposed the abolition created a high tension in the colony. 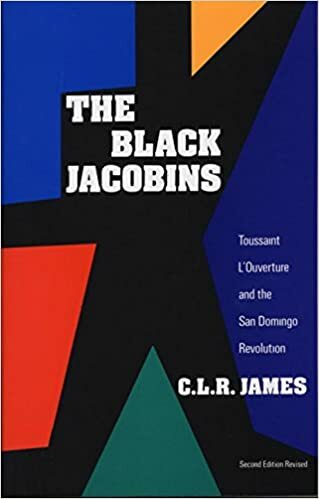 Suddenly, French metropolis began losing control of the situation from which the rebel slaves, under the leadership of Toussaint Louverture, Jean Jacques Dessalines and Henry Chrisptophe, emerged to create a force of rebellion. So began the right step to Haitian revolution that was possible with the perseverance of this courageous, upright and revolutionary leader named Toussaint Louverture. His goal was to get independence and autonomy not only for himself and his family but also for all his brothers in the colony. In a first view, I admire Toussaint Louverture for his common sense of mankind and his diplomatic skills. At the age of 33, he was set free and actually did not live, for so long, the hard times of slavery. However, it was difficult for him to get along with the ideology of freedom for a small group while the great mass was succumbed under slavery. He used his freedom not as a self-pride but as a tool to spawn a way for his slave brothers to reach theirs. To achieve this task, he swam between two waters. Sometimes he was known as a proponent of slavery for adhering to royalist political views although he often came up with moderated ideas that shaded his right position (Toussaint’s negotiation with Governor Blanchelande and his rebel leaders in December 1791 required a banning on the use of whip, a weekly day off and freedom for a handful of black leaders). Sometimes he tried to meet his peers to let them know about his right dream for them; freedom and equality for all (Brothers and friends, I am Toussaint Louverture; … I want Liberty and Equality to reign in St Domingue. I am working to make that happen. Unite yourselves to us, brothers, and fight with us for the same cause…Your very humble and obedient servant, Toussaint LOuverture…). Most of his peers refused to believe in his promising speeches because they also knew him like a good friend of the colonists. It took them any time to become aware of his main goal that was the independence of Saint-Domingue when he promulgated the Constitution of July 7, 1801. In a second view, what makes me proud of Toussaint Louverture is his great conviction to keep persevering towards his strategies to achieve his goal, recognizing his weaknesses and yet, being a pioneer of the word “independence”, he recognized that democracy was the best tool to use in the fight for a good compromise, even in time of war. After promulgating his constitution of 1801 that made of him “governor-general for life with the right to choose his successor”, Toussaint preferred writing to Napoleon Bonaparte a letter entitled “from the first of the blacks to the first of the whites” in which he honestly invited him to approve his act. But according to Napoleon B., that was an insult and replied by sending an expedition of 20,000 soldiers to restore both the French colony and slavery in Saint Domingue. This final step was giving way to his own arrest and departure to France, in Fort-de-Joux where he died under coldness and sorrow. Some people still believe that Toussaint should have realized his dream if he had not been such a flexible leader who preferred the dialog or negotiation to abrupt reactions or war. But one thing that may intervene in memory to relate to them is that the moment was not favorable to dialog. Haitian independence, no matter how tremendous it was qualified as, served a model for several nations in their initiatives to emerge from slavery. Finally, I strongly believe that, if Toussaint Louverture was not deported to France, he should be to Haiti who Georges Washington is to United States of America, the great liberator and to the world, the father of democracy. THE SPARK of Le Flambeau language exchange program is in its tenth year. With a focus on extending educational opportunities to bright underserved youth in and from Haiti while also adding significant value to the development of U.S. youth; THE SPARK of Le Flambeau aims to improve fluency in reading and writing in English for students in Haiti and in the U.S. while fostering the exchange of culture and new friendships, and mentor-ships. The top performer in Haiti receives a Dell notebook laptop computer and English learning software. This particular session was a mini four week version held exclusively for students in Haiti. The sessions range from four weeks to eight weeks, including students in Haiti and in the U.S.
To read the most widely read book on Toussaint Louverture (click here).